← NFL Talk Plus Episode 46 – Experience Over Speed! Ehnother Podcast Proudly Presents: Warlock Wednesday Episode #257! This week we are back to a normal-ish length for show with the news of the week. 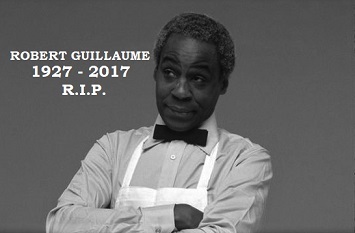 We did lose the great character actor Robert Guillaume this past week. I will never forget his guest starring role on The Fresh Prince of Bel-Air. Thanks to some help from the love of my life, we have the Irish Box Office Report to go along with the usual North American Box Office Report. Plus: Comic Book Releases; New Movie Releases; Entertainment News; and of course Super Hero Movie Time where I ask: Why DC? WHY!? This entry was posted in Warlock Wednesdays and tagged #CanadianSmodcast, A Bad Moms Christmas, A Private War, ABC, Ace Ventura, Adam Driver, Archie #25, Archie Comics, Astonishing X-Men #5, Avengers, Avengers #673, Bad Boys, Batman #34, Ben Mendelsohn, Bios, Black Klansman, Black Lightning, Box Office Reports, Canadian Smodcast, Captain America #695, Captain Marvel, Chantal Thuy, comic book releases, comic books, comics, Contra, Danny Glover, Daredevil, Dark Horse Comics, DC, DC Comics, Deathstroke, Devil's Rejects, Dublin City Comics and Collectibles, Dynamite Entertainment, entertainment, evan peters, Fast & Furious, G.I. Joe A Real American Hero #245, Gabrielle Union, Gareth Evans, Gotham, Green Arrow #34, Guardians of the Galaxy #146, Hollywood Babble On, House of Cards, Hummingbird, IDW Publishing, Image Comics, Ireland Release Dates, James Van Der Beek, Jamie Dornan, John DeLorean Biopic, Jordana Brewster, Josh Gad, Justice League #32, Justin Lin, Kate Mara, Kevin Smith, Kevin Spacey, Lady Bird, Last Flag Flying, LBJ, Lethal Weapon 5, Little Monsters, Lupita Nyong'o, Major League, Marjorie Prime, Marvel, Marvel Comics, Mel Gibson, Morena Baccarin, Morgan Creek, Movies, Murder on the Orient Express, Nathan Fillion, Netflix, Nightwing #32, North American Release Dates, Old Man Logan #30, Olivia Coleman, Olivia Munn, Paper Girls #17, personal views, Peyton List, Pose, Preacher, Ralph Garman, Red Sonja #10, Richard Donner, Rob Sacchetto, rob zombie, Robert Guillaume, Robotech #4, Rumor, Rumors, Seth Rogen, Shazam, Spider-Man #234, Superman #34, Tatiana Maslany, Teenage Mutant Ninja Turtles Ghostbusters II #1, Television, Terry Notary, The Crown, The Killing of a Sacred Deer, The Rookie, Thor: Ragnarok, Titan Comics, tom hanks, Usagi Yojimbo #163, Vincent D'Onofrio, Walking Dead #173, Young Guns, Zachary Levi, Zoe Saldana, Zombie Portraits. Bookmark the permalink.